Fives will design and deliver a fully automated and motorised Bronx 13-roll straightening machine to process bulb sections up to 220mm wide, which feature heavily in the construction of cruise ships, ferries and special vessels and will form part of a profile preservation line. The Bronx straightening machine is due to be installed and commissioned during the summer of 2017 and will represent the second straightening installation to be supplied to the Meyer Group, in the last four years. 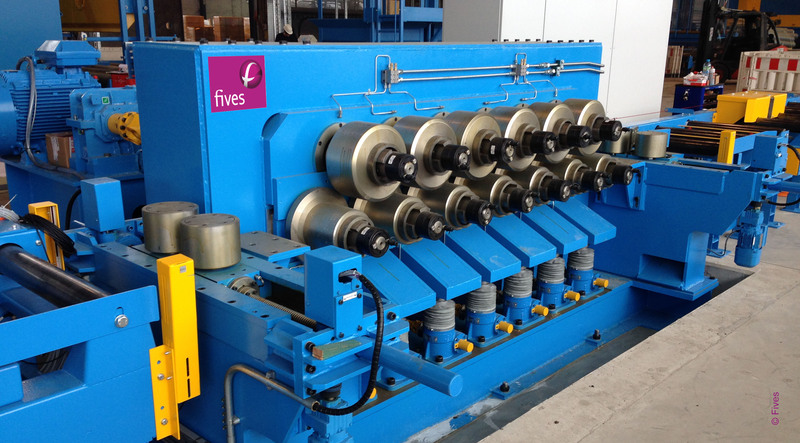 Fives provides a broad range of high performance Bronx section straighteners, including fixed center, variable center, multi-strand, two plane and between housing. Bronx machines can accurately and efficiently straighten the widest range of ferrous and nonferrous sections produced. Section straightening machines are equipped with patented COMPASS system (COMPuter Aided Setting System) to automatically compute the optimum roll settings and adjust the rolls to the proper position.